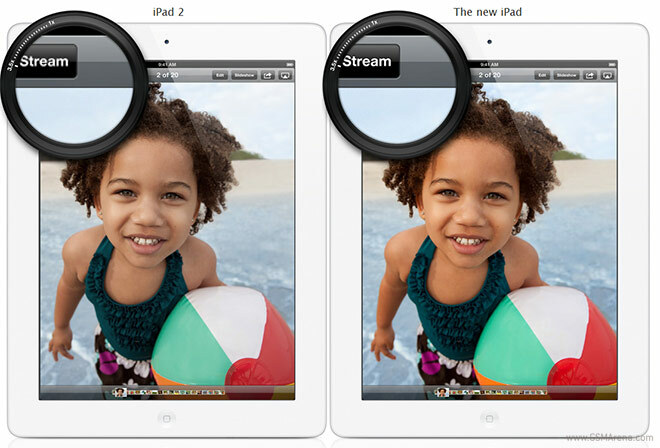 Addicted to that ultra-high res screen of the new iPad, aren’t you? Well here’s a bit more information about the underlying technology that enabled Apple to quadruple the resolution of its slate. You see the main problem with high pixel densities is that when things get cramped up, signals can get crossed, which leads to degradation in image quality – most notably in terms of color accuracy and sharpness. So you actually turn out with a poorer screen. So how did Apple went about solving this engineering challenge? It was actually Sharp who invented the workaround for this problem. It involves applying a 3 µm thick photo-definable acrylic resin layer in order to increase the vertical gap between the ITO pixel electrodes and signal lines. Thanks to that, unwanted capacitive coupling is reduced to a minimum and the image quality is as good as you would expect from the pixel count. Naturally, this new manufacturing technology leads to an increase in the production costs of each individual screen. According to IHS, Apple will be spending close to $9 billion on screens alone this year, which is nearly double to what the Cupertino-based company spent in 2011 ($4.7 billion). That estimate is based on a 69% increase in shipments and the simple math shows us that the per-unit cost will increase by about 13%.